Reflection is Gibb Tartaris, a multi-genre artist from Canberra, Australia. 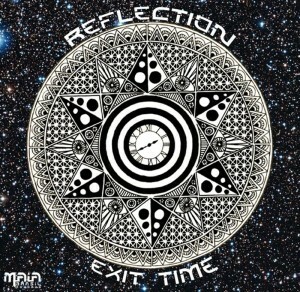 After making a splash with Box Of Chocolates, his progressive psytrance debut, he turns now to downtempo and deep trance on Exit Time, an hour-long collection of fresh material released by Maia Brasil Records. With great bass lines, beautiful ambiances, and considerable attention to detail, Tartaris continues to establish himself as an artist to watch in 2013 and beyond. Mastered at Anti-Logic, Berlin, with artwork by Splund. MP3 Download | FLAC Download | WAV Download · Download count: 12,069. A beautiful work of musical ability, and geniality. A journey into deep psychedelic space. Feels like heavy psybient in a way, or “hard” psybient. Such a great album, deep Masterpiece !